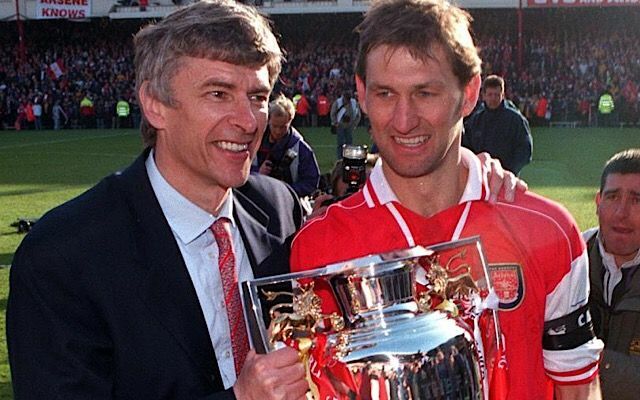 Arsenal legend Tony Adams has launched a withering attack at Arsene Wenger over his management of the club. Wenger faced mounting criticism last season after Arsenal failed to qualify for the Champions League for the first time since he joined the club in 1996. There was intense speculation that Wenger would step down at the end of the season, but after Arsenal surprised Chelsea with a 2-1 victory in the FA Cup final, the Frenchman decided to stay on. As reported by the Islington Gazette, Adams said, “Arsene should have gone in May. He’s said ‘retirement is death’”. Adams’s strong comments have come after Arsenal’s poor start to the season. After a nervous 4-3 win over Leicester, Arsenal have lost to Stoke and in their last outing were thrashed by Liverpool 4-0. Wenger has failed to convince Alexis Sanchez to remain at the club, with the Chilean forward thought to be disgruntled after a move to Manchester City collapsed last week.